Dog owners may sometimes take a dog’s ability to swim for granted, only to get an abrupt wake-up call when they find their dog struggling in the water, risking to sink like a stone rather than staying buoyant as expected. 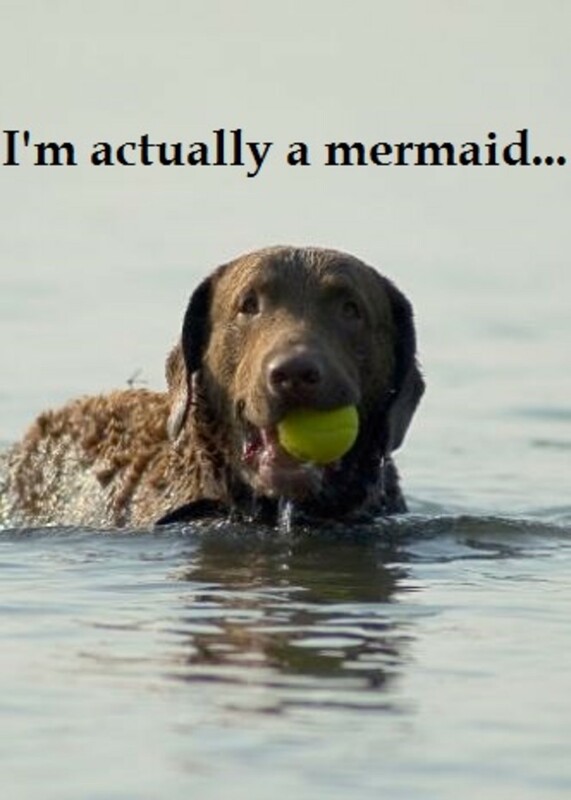 Sure, when dogs are introduced to a body of water the very first time, they may have an instinct to “doggy paddle” but that doesn’t necessarily mean they are the canine version of mermaids who will safely swim and stay afloat for any determined period of time! Turns out though, that more than a matter of ability or willpower, it’s sometimes a matter of conformation when it comes to certain dog breeds who are more likely to sink rather than float. Floating Mermaid or Sinking Stone? What makes a dog an efficient swimmer while another can barely stay afloat? It’s often a combination of various factors, but conformation plays a big role. Several dog breeds were selectively bred to work in the water so they boast traits that helped them excel in their water-related tasks. Labrador retrievers, Chesapeake bay retrievers, Portuguese water dogs, Newfoundlands and poodles are examples of dogs that generally make excellent swimmers. These dogs are agile, and often showcase distinctive traits such as webbed feet , strong legs, water-repellent coats and thick tails that works as rudders, allowing them to efficiently swim in the water. However, just because a dog was selectively bred for work in the water in their past, doesn’t necessarily mean he will come to instinctively love water and know how to swim when introduced to water the very first time. Just like people, dogs come with individual variances even with a breed. On the other hand, there are many dog breeds who were not selectively bred for work in the water, but who do manage to swim if the need arises. These dogs may need a little assistance, but once they get a hang of being in the water and swimming, they seem to to manage. And then, we have dog breeds, which, due their conformation may be prone to serious challenges when it comes to staying afloat, and if they really must go for a boat ride, they better have a flotation device to help keep them from drowning. Hey, pass that life jacket for Rover would you? What makes certain dog breeds sink rather than float? As mentioned, it’s often a matter of conformation. While several dog breeds have been selectively bred for working in the water, selective breeding has also yielded certain types of dogs that have been shaped for other purposes and this has contributed to the loss of the “tools” necessary for making good swimmers. Generally, dogs that have large, heavy chests in relation to their hindquarters and short noses are going to have problems, explains veterinarian Dr. Marty Becker in an article for Vet Street. Following are some dog breeds that have a reputation for making poor swimmers. Following is a list of dog breeds that are likely to make poor swimmers and tend to have the buoyancy of cinder blocks. While we are aware that there may be sometimes exceptions to the rule with certain breeds, the general consensus seems to be that it’s best to practice caution with these fellows as some may get easily tired after a little paddling which can generate panic and lead to circumstances that can cause potential drowning. If you have a pool, your best bet is to fence it off, so to protect these fellows. Some dog owners though provide these dogs with a life jacket so these pooches can get to enjoy supervised time in the water with their owners. Basset Hounds. These dogs struggle in the water because of their short legs and overall low, heavy structure. Indeed, basset hounds have such dense bones, they’ll drop like a stone in water, claims Animal Planet. The breed standard set by the American Kennel Club describes basset hounds as being heavier in bone, size considered, than any other breed of dog. 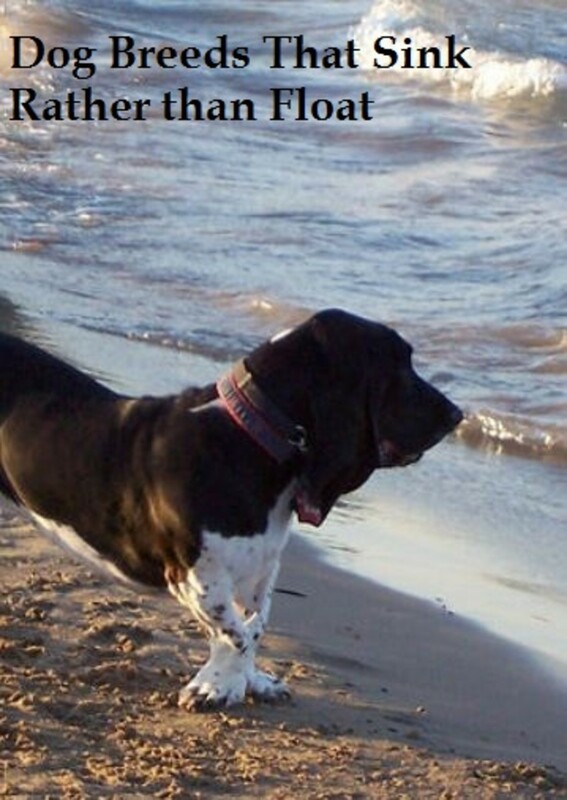 According to Dog Time, two thirds of the basset’s weight is distributed in the front of this dog’s body, a trait that predisposes these dogs to drowning. Pugs. There are pugs who can manage to swim (somewhat!) while others will simply sink like rocks. Best to assume the latter though and not take the risk of exposing these dogs to a scary experience in the water that can leave long-lasting emotional scars. Fact is, swimming for pugs can be quite a strenuous activity. Their heavy, barrel-shaped bodies makes swimming quite a challenge, so even though pugs may enjoy time in the water, swimming should be limited to a few brief minutes to prevent exhaustion, explains Linda Whitwam in the book “The Complete Pug Handbook: The Essential Guide For New & Prospective Pug Owners.” On top of their heavy body shapes, pugs also have short faces, which makes them prone to fatigue easily. Dachshunds. Dachshunds also fall in the “iffy”category when it comes to swimming. With their long backs, short legs and short necks (that may be a challenge to keep above the water,) these dogs are not really built for the task. Sure there are some doxies who have taken a liking to swimming and brief swimming sessions are sometimes suggested by vets as a helpful non-weight bearing activity for dachshunds suffering from spinal injuries, but extra caution is always needed to keep these fellows safe. Did you know? When it comes to swimming styles in dogs, a study conducted by Frank Fish, biologist at Pennsylvania’s West Chester University, found that dogs despite dogs coming in vastly different sizes and showing substantial variations in gait, when it comes to swimming, they tend to share a universal swimming stroke that is more akin to a run than a trot.